One of the most devastating punches in middleweight history, Gennady Golovkin has racked up quite a few knockouts over the course of his career. 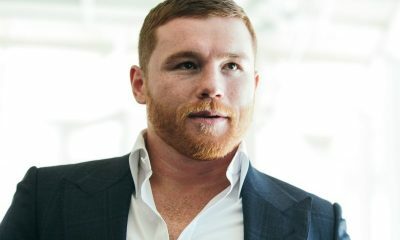 Born on April 8, 1982 in Kazakhstan, he was fighting from a young age, as his brothers would encourage him to fight grown men on the streets even when he was a young child. He started his boxing training at 8 years old and won quite a few championships as a younger fighter, with highlights including his 2002 gold medal as a middleweight in the Asian Games, his 2003 gold medal at middleweight in the World Championships and his 2004 gold medal at middleweight in the Asian Championships. He also competed in the 2004 Olympics and earned a silver medal. 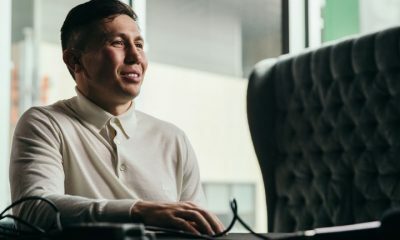 After a very successful amateur career where he went 345-5, Golovkin had his first professional fight on May 6, 2006, and it didn’t last long. 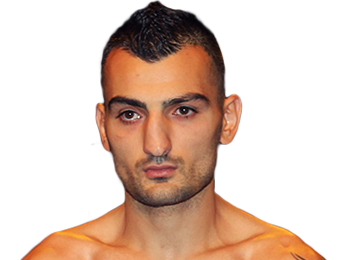 He knocked out his opponent, Gabor Balogh, in the very first round. He ended up fighting six times before the end of the year, winning all of them by stoppage. That streak continued over his first two fights in 2007, and he built a record of 8-0 with finishes in every fight. He then had his first decision win against Mehdi Bouadla on September 7, 2007. The fighter who would later be known as GGG due to his initials may have been fighting relative unknowns on small cards in Germany, but he was taking them out in dominant fashion. His talent was obvious to anyone watching him fight, as he wasn’t merely a power puncher. He was an excellent pressure fighter, skilled at cutting off the ring and forcing his opponents into the perfect position to land those brutal blows. His chin was rock solid, and he would also punch at unique angles, often catching his opponents by surprise. 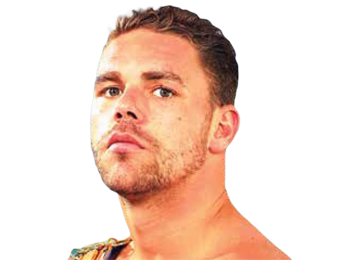 With a 16-0 record, he got a shot for the WBO Inter-Continental middleweight title on July 11, 2009. He took advantage by knocking out John Anderson Carvalho in just two rounds. 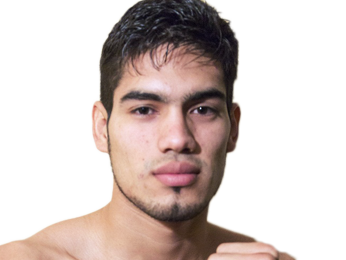 After another second-round KO, this one against Mikhail Makarov, he then fought Milton Nunez on August 14, 2010 for the WBA interim middleweight title. This time around, he only needed one round for another brutal knockout victory. 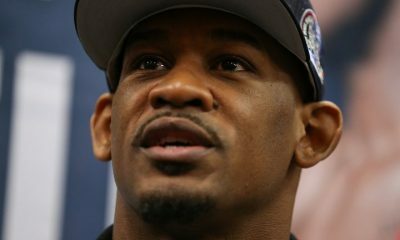 When he had two title defenses under his belt, he took on Lajuan Simon for the IBO middleweight title. He again took care of his opponent early, scoring a KO in the very first round. A third-round TKO victory over Makoto Fuchigami followed. Gennady Golovkin then finally got to introduce himself to an American audience in his first fight on U.S. soil, which took place on September 1, 2012 in Verona, New York. He put on a show against Grzegorz Proksa, who was 28-1 at the time, becoming the first man to stop him when he earned a TKO in the fifth round. His next fight was at Madison Square Garden, and on the bigger stage he put on perhaps a bigger beating, smashing Gabriel Rosado from the opening bell until the American fighter’s corner threw in the towel in the seventh round. After two third-round KO victories, he took on highly ranked Curtis Stevens, once again at Madison Square Garden. It was another vicious performance that earned him international acclaim, as he absolutely battered Stevens. 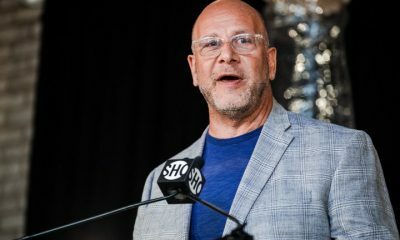 He knocked Stevens down with a clean series of two left hooks in round two, and while Stevens fought gamely, his corner stopped the fight after the eighth round because of the cumulative damage. 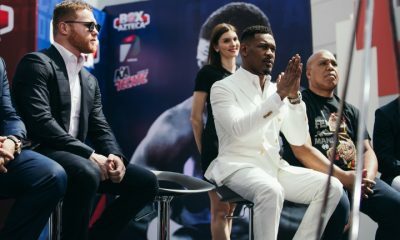 His next fight was February 1, 2014 in Monte Carlo, Monaco against Osumanu Adama, and after four knockdowns, the referee stopped the fight and he won by TKO in round seven. 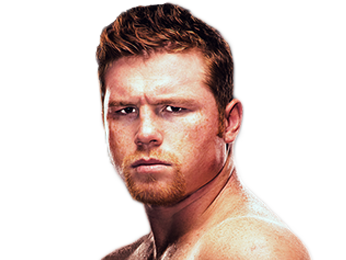 Next, he went back to Madison Square Garden for a fight against Daniel Geale on July 26, 2014. It was another methodical, yet vicious performance, where he started everything off with his crisp, snapping left jab. Soon he was landing his power punches, and the fight was over in the third round. 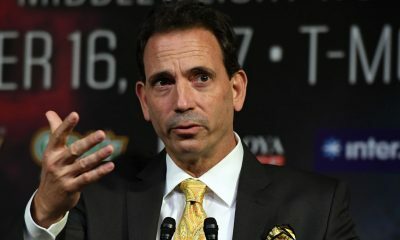 He got the opportunity to add the WBC interim middleweight title to his collection when he took on Marco Antonio Rubio in Carson, California at the StubHub Center. He needed barely more than a round to take the belt, notching another devastating KO win. He went back to Monte Carlo to defend his titles against Martin Murray on February 21, 2015. While his opponent had sound defense and the toughness to keep going even while taking punishment, Golovkin eventually proved to be too much, as he forced the referee to step in and save Murray from any more damage in round 11. 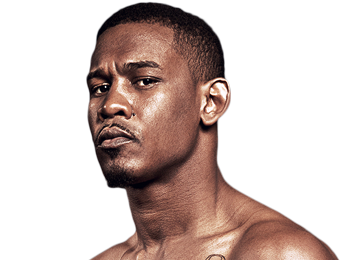 On May 16, 2015, he fought Willie Monroe Jr. at The Forum in Inglewood, California. 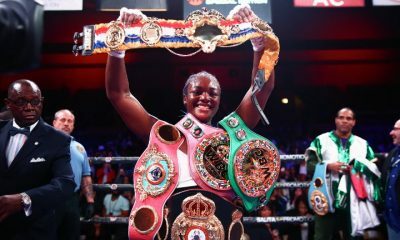 While Monroe Jr. was light on his feet and used effective movement to stay relatively safe over the first five rounds, the Kazakhstani fighter eventually forced him to the ropes and landed hard punches for a TKO win in the sixth round. Another fight at Madison Square Garden was next, this one against David Lemieux on October 15, 2015 with the IBF middleweight title on the line. He was in full control of the fight from start to finish, which came by way of TKO in round eight. 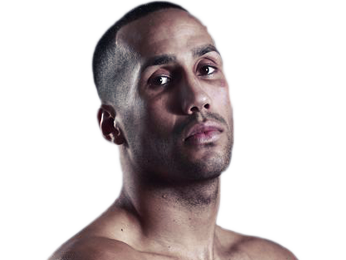 He was back in The Forum next to defend his belts against Dominic Wade, who was a heavy underdog. 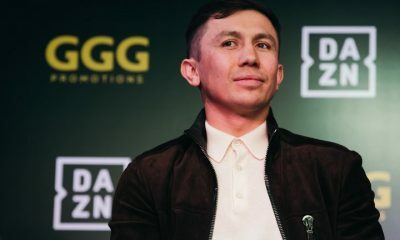 The odds makers proved to be right about that, as Gennady Golovkin easily defeated Wade with a KO in the second round. 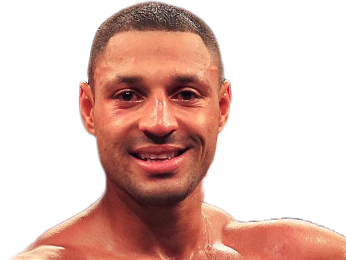 He then traveled to The 02 Arena in London, England to take on hometown favorite Kell Brook on September 10, 2016. 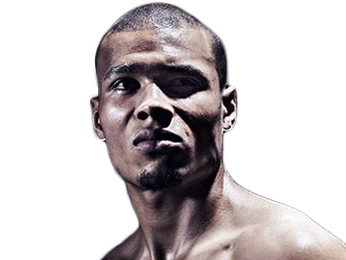 Originally, the plan was for him to fight Chris Eubank Jr., but after negotiations for that fight broke down, Brook took the fight, going up two weight divisions in the process. To his credit, Brook fought hard, even after suffering a broken right eye socket. He threw plenty of punches back, but couldn’t seem to harm the larger fighter. By the middle of the fifth round, Golovkin was landing shots at will, forcing Brook’s corner to throw in the towel to protect their fighter. 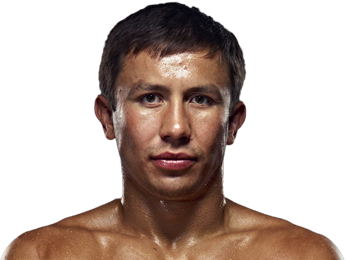 Sorry, we couldn’t find any ticket details for Gennady Golovkin at the moment.